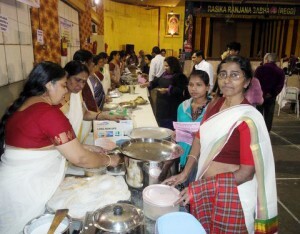 Calcutta Malayalee Samajam is the premier socio-cultural charitable organisation of Malayalees living in and around Kolkata. Founded in 1951, the Samajam had a humble beginning, having to operate from a garage and had its share of both organizational and financial hurdles. In course of time, by its various socio-cultural recreational and humanitarian activities, the Samajam could reach and earn the acceptance of a wide cross-section of the community. 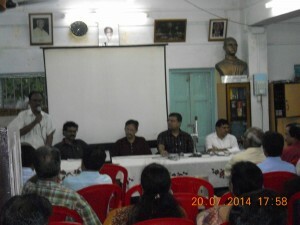 The Samajam had also played its role along with other sister organizations at Kolkata and elsewhere in the long struggle for formation of Kerala State. True to its founding principles, the Samajam has remained secular in its outlook and its activities. The Samajam has been providing opportunity to the Malayalees in general to meet socially among themselves and also with other linguistic sections by organizing cultural events and other activities. The main objective of organizing such programme is to present and interpret the rich and varied art forms of Kerala, both traditional and contemporary, in its pristine purity to the Malayalees and other art lovers of this city. This has not only forged unity of the Malayalees but also contributed to the cause of cultural exchange and much needed national amity and integration. 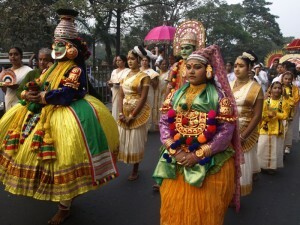 The Samajam has in the past organized many festivals of dance, drama, music and films. The four days cultural festival in 1955 at Indian Museum lawn, inaugurated by the late V. K. Krishna Menon, was a memorable event. 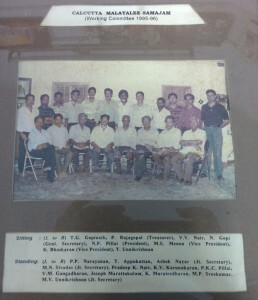 Similar festivals were organized in 1976, 1988 and also in 2001. As a social organization, Samajam has responded to calls at times of national emergencies and natural calamities, whether it was in Kerala, West Bengal, Assam, Orissa or to help the quake afflicted people of Maharashtra and Gujarat and done our mite. The Samajam has also welcomed on our platform several leading personalities of Kerala and outside from cultural, literary, film and political fields. 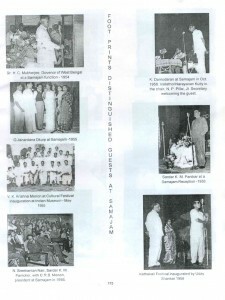 Sri V. V. Giri, Sri V. K. Krishna Menon, Sri Uday Shankar, Prof. Hiren Mukherjee, Sri Jyoti Basu, Sri Sidhartha Sankar Ray, Sri Satyajit Ray, Sri Salil Chowdhury, Sri P. C. Sen, Sri H. C. Mukherjee, Sri Bimal Mitra, Sri K. P. S. Menon, Sri E. M. S. Namboodiripad, Sri A. K. Gopalan, Sm Ragini, Sri Sardar K. M. Panicker, Sri N. Sreekantan Nair, Sri G. Aravindan, Sri M. T. Vasudevan Nair, Sri Mohanlal, Guru Gopinath, Sri C. H. Muhammed Koya, Sri K. Madhava Menon, Sri E. K. Nayanar, Sri E. Ahamed, Sri V. S. Achuthanandan were a few among them. The recent visitors to the Samajam include writers like Sri K. P. Ramanunni, Sm Greysi, Sm Leela Sarkar, Sri C. R. Neelakantan, Sri V. T. Murali, Sri Susmesh Chandroth, etc., the famous magician Sri Gopinath Muthukad and Hon’ble West Bengal Governor, Sri M. K. Narayanan. Now Samajam is housed in its own building. Day-to-day activities include running of a reading room (all major Malayalam dailies and magazines are available) and library with over 6000 books in Malayalam and English, facilities for indoor and outdoor games, classes for dance, music, etc. Doctor’s service is also available at the Samajam. Samajam provides financial help for treatment and education to the poor and needy Malayalees. Further, we also have a team of dedicated workers to reach out to any Kolkata Malayalee who is in need of help. As a mark of our commitment and respect to our mother-tongue, the Samajam has set up an annual Endowment Award in collaboration with the Thunchan Memorial Trust for encouraging the young writers in Malayalam. The Award is given for unpublished short stories or poems of Malayaless below 25 years of age and the Chairman of the Selection Committee is none other than the great M. T. Vasudevan Nair. It regularly organizes different types of programmes for nurturing talents and also to give opportunities to the blooming buds. 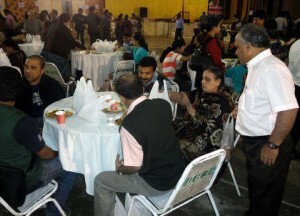 Musical Evenings, Debates and Discussions, Quiz Contests, etc. 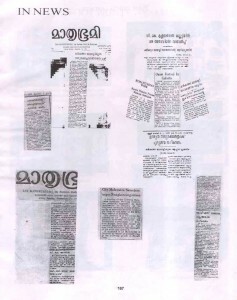 are regular features in Samajam. The Ladies’ Wing of Samajam is also quite active and they organize programmes like cooking classes, awareness campaigns, etc. for ladies. 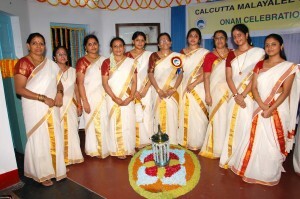 In 2008, Calcutta Malayalee Samajam won the prestigious Akshaya Award for the best Pravasi Malayalee organization. The award was presented to the Samajam by the Hon’ble Nagaland Governor, Sri K. Sankaranarayanan, at a glittering function organized in Kolkata in January 2009. 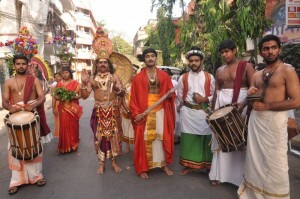 Sri Payipra Radhakrishnan and Sri Francis George (Ex. 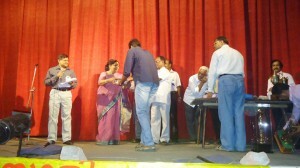 MP) were also present on the occasion.